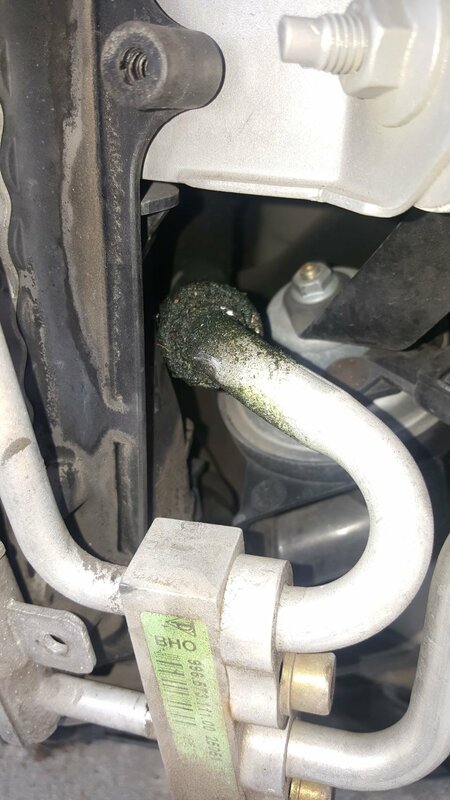 I have AC line that is slowly leaking on the line that is connected to the passenger side condenser via upper hose that goes towards the middle (maybe to the back of the car?). The lower hose is connected to the driver side ac condenser. can u tell me which part name/number that is leaking?